Though the topic of keyword research is not specific for Joomla, it is one of the most important phases of the SEO process. First I give a short but very important notice: make sure that your content is focussed primarily on your readers. Many people write for Google primarily, which results in text filled with awkwardly used keywords that is horrible to read. As long as your users are your first priority, use your keywords as wisely as possible. If there is a conflict between readability and exact keyword usage, choose for readability. And check your spelling (Tip: Use the Grammarly.com app in Google Chrome. It's free and also works excellent in your Joomla editor). One thing before we start selecting our keywords: Google recently claims to be less keyword-driven, and more toward themes or topics. Google will usually be able to define your topic from the full text you write, not just from the same keyword repeated over and over. This does not mean keywords are not important, but you should create diversity, by playing with synonyms and alternative terms. Also it is very important to choose keywords that your users are searching for in Google, not just the ones you think they should be using! let me give you an example: say you are a therapist treating people with hallux valgus (a foot injury). If you are just using the formal name for the disease to promote your business, you are ignoring al the people that use the popular synonym bunion in Google. 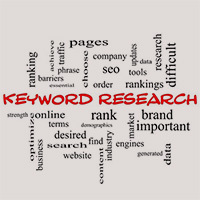 So, one of the first things to do in keyword research is to define a set of keywords you will be using. You will generally have a rough idea to start off with, but you should do further research as the whole site's relevancy will be based on correct use of your keywords. Make sure you do not just target one keyword, but a range of related keywords, especially with Google's current focus on subjects rather than keywords. In the below example, not all terms seem perfect for my use, but quite often it brings up some very useful ones. 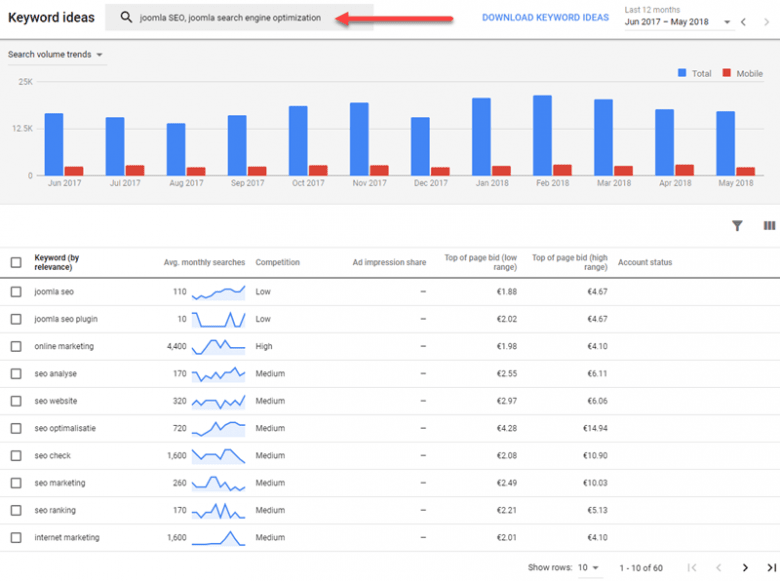 As you can see, it lists the average number of searches per month, a rough estimation of the level of competition, plus a list of possibly related keywords and keyword combinations. Picking the best keywords from this list will ensure that you capture all relevant traffic for related search terms. But don't just use them all, many will probably be useless! Note: since August 2016 Google does not offer exact search volumes anymore, but only rough volumes, like 1000-5000. Only paying advertisers receive exact volumes. A nice tool is the SEO Keyword magic Tool by SemRush (also free, but registration required). This tool delivers you tons of alternative phrases and related seconds for a given keyword in just seconds. I like this tool a lot! Also Ryte.com has a nice tool, called the TF*IDF report, with also nice options to search for related keywords (also available for free users). Moz Keyword Explorer: Excellent tool, but only 10 keywords per month for registered users (still useful though). Google.com/trends : Again a nice tool by Google. Shows trends over time or over seasons to get an idea of the current trend a keyword has in the searches. Ubersuggest.org: This tool mimics the auto-suggest feature of Google for a certain keyword, but it gives you dozens of suggestions with the most popular search words. Keywordtool.io: Similar to Ubersuggest, but with a very nice and clean interface, also allowing easy switching for your local country. And a nice option to copy all these keywords to your clipboard. Not free anymore by the way. Soovle.com: It pretty does the same as Ubersuggest, but instead of only Google, it also targets Bing, Yahoo, Wikipedia, Youtube. Keywordshitter.com: Enter one keyword or keyword combination, and it shits out (excuse the language) hundreds of possibly very interesting long-tail related keywords. First of all choosing a domein for your website that includes your keywords (like joomlaseo.com for my site) could be nice, but it is definitely possible to rank perfectly well for a domain without keywords. Then, use your keywords everywhere possible, from your URL and your main content to your titles, meta-data etc.. But do so wisely, don't over do this (no keyword stuffing). Also, this article on magazine.joomla.org has some interesting reading on recent updates from Google to prevent over-optimization. A nice tool that can help you write texts for SEO is Webtexttool. 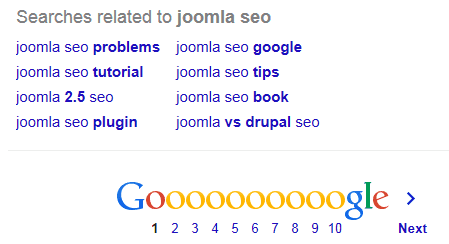 It can be used right in your Joomla article as a live-SEO check. And again: when writing your content, focus on readability. Badly written text with too much focus on keywords will drive your visitors away. A nice tool to chek readability is the Hemingway app.